(10 mins.) France24. A close up look and informative tour of Notre Dame Cathedral in Paris with cathedral historians and staff, June, 2018. The magnificent gothic church was constructed in the 12th century, withstood vandalism during the French Revolutionary years (1789-1799) and survived two world wars in the 20th century. 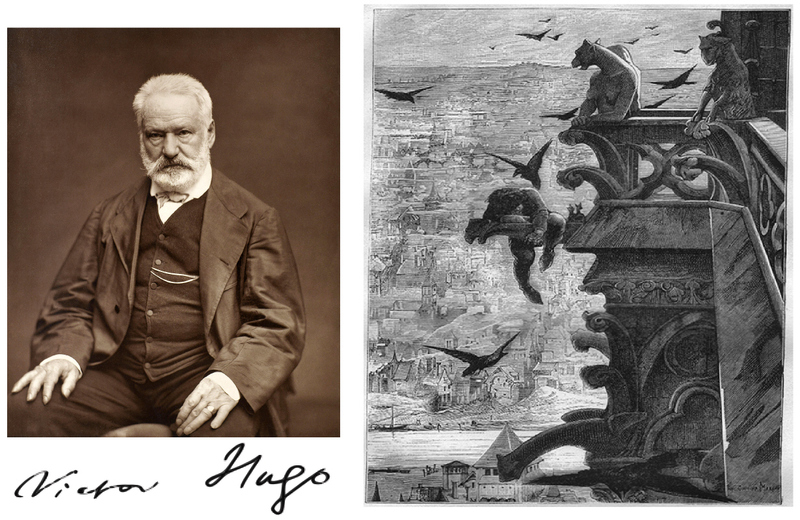 Notre Dame served as the site of Napoleon's coronation as emperor in 1804, and inspired Victor Hugo's famous novel, "The Hunchback of Notre Dame" (1831) which sparked the 19th century restoration of the building headed by architect Viollet- le- Duc. The president of the Friends of Notre Dame and the head architect discuss ongoing repairs and conservation efforts particularly of windows, statues and exterior gargoyle waterspout figures. 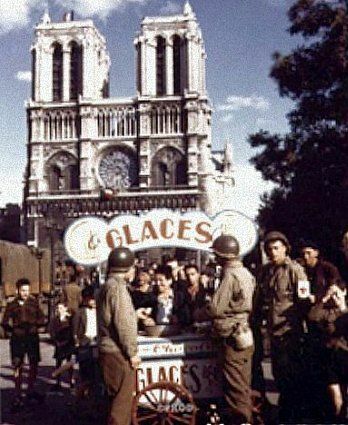 Ice Cream Stand with US Soldiers in Front of Notre Dame Cathedral Paris, August 1945, World War II. Napoleon's coronation painting, by Jacques-Louis David 1807. 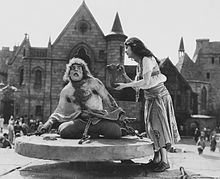 Lon Chaney as Quasimodo in 'The Hunchback of Notre Dame' with gypsy girl Esmeralda, silent movie version (1923). Interview, Lon Chaney, "The Hunchback of Notre Dame." 'The Hunchback of Notre Dame,' silent movie with Lon Chaney 1923. Trailer "The Hunchback of Notre Dame, " Lon Chaney (1923). This silent film classic by Universal was the most expensive movie made by any studio so far and it made Chaney a larger star. ~ Mother told us she saw this as a little girl and it scared her very much! Especially since she was only 3 years old and her parents didn't realize the scope of the first 'horror' genre picture not billed as such when released. I've watched the later 1930s movie version with Charles Laughton and Maureen O'Hara as Esmerelda and it's also quite good.